The new, 184-page issue of Glissando is a collection of 35 texts (of which the whole New Music in Eastern Europe section in English), putting the theory of culture, sound, and music within a broader framework, which is no longer restricted to an isolated and exclusively defined musical work, but encompasses the sonic environment in all its complexity. Shaferian revolution in the study of sound culture, the ecological approach of sound artists, the auditory perception and different listening techniques, creativity in the urban context (as exemplified by the city of Łódź), the results of sound recording practices developed over the last century, but also providing the seemingly mute artifacts like print and film stock with a sound. 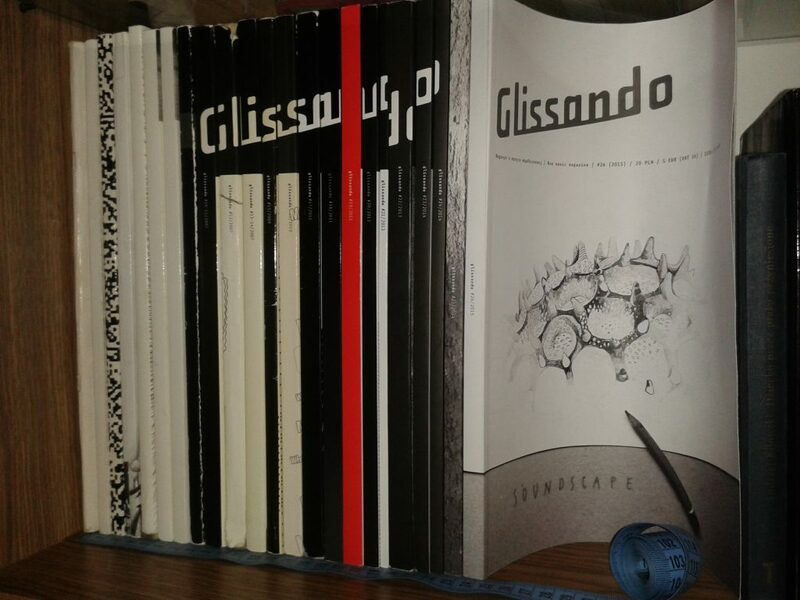 Our aim was to create the issue of Glissando, which would not only expand and systematize the knowledge of soundscape, but would also be more accessible and reader-friendly. The soundscape, whether analyzed as a musical work, or experienced as part of everyday life, is important for every listener. Glissando #26 studies the contemporary global composition, which forms a background for our activities, affects us in a more or less conscious way, and shapes our behavior. Exploring the sonic environment is important not only from the artistic or scientific viewpoint. 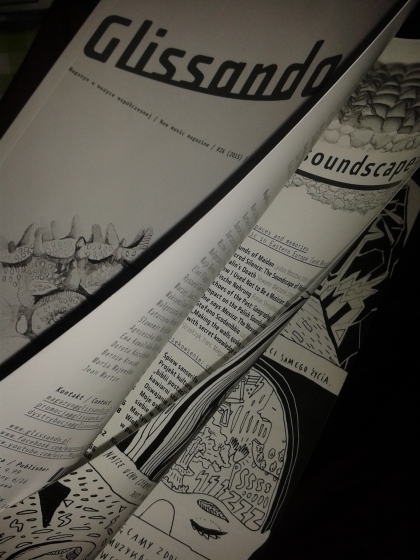 It also allows the readers to enjoy their everyday listening experience more deeply and carefully.